I wanted to spruce up our foyer by adding new our new customized Pottery Barn stockings to our banister. I am in love with these soft and fluffy Faux Fur Plush Stockings which I monogrammed with my kids names in Light Blue Porcelain thread. Along the railing I hung the Pottery Barn Ornament Pine Garland which has gorgeous large silver and gold ornaments attached, really dressing up our entry with a bit of sparkle. To create the true Holiday glow that I love so much I filled my stairwell with range of Pottery Barn votives. Starting at the top with some of the larger white ones and working my way down with a mix of the white and silver. Pottery Barn sells the smaller ones in pack of six and they are fantastic to use on your Holiday table, on a window sill, to give as gifts, the list goes on. And speaking of gifts, Pottery Barn has a whole selection of fuzzy gifts from throw blankets to slippers to pillow covers in that plush faux fur material. Thank you so much for stopping by Fashionable Hostess. And a special thanks to our friends at Pottery Barn for providing us with the items we’ve featured today! 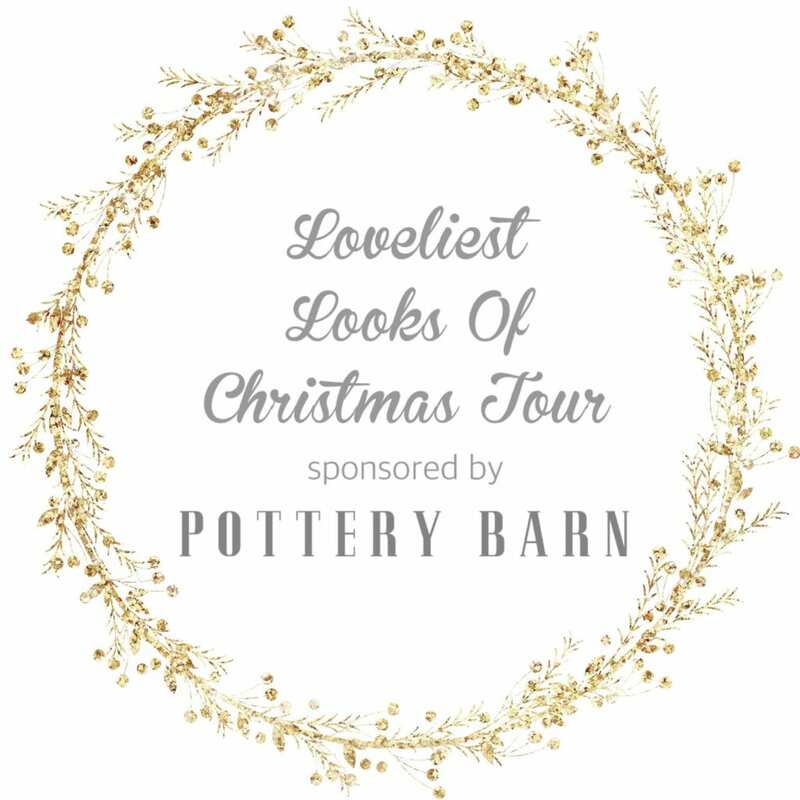 Thank you to Pottery Barn for partnering on this post. Your foyer is just beautiful and I love those stockings. I have had my eye on them for sometime! Hope you have a great holiday season! Your home is always so lovely! I love the mercury glass candles on the stairway!